Rory McIlroy was the only Northern Ireland player to make the cut at the US PGA as Graeme McDowell and Darren Clarke failed to make the weekend. McDowell needed to improve on his 73, but carded a 76 to lie on five over par, three outside the cut mark. Clarke did not look like staying in the tournament after his opening 78, and his 81 on Friday put him on 15 over. 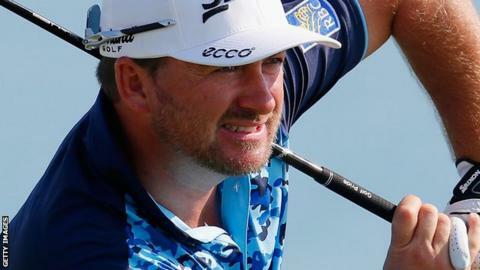 Former winner Padraig Harrington and fellow Irishman Shane Lowry also failed to qualify for the weekend's action. Lowry, winner of last week's WGC-Bridgestone event, was nine shots better than his opening round but his 69 left him on three over par overall. Harrington, winner of the US PGA in 2008, also had a much-improved score on Friday, but he too was on three over after his 71. Two-times tournament winner McIlroy is on two under par after a second successive 71.